Authored by epriestley on Apr 18 2015, 6:17 PM. Ref T4100. Ref T5595. 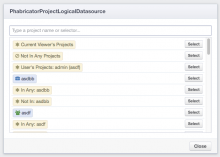 This converts projects(user) into a logical datasource. 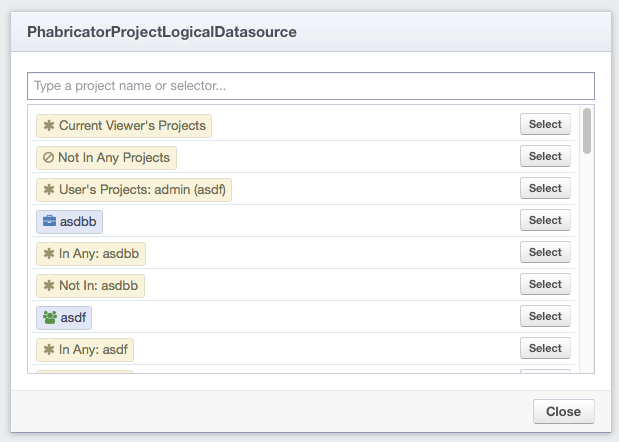 Also adds a viewerprojects() logical datasource. epriestley retitled this revision from to Make "user's projects" a logical datasource and add viewerprojects().